When Jody Wobbe played basketball in high school, she occasionally fell down. "My legs would just give out," she recalls. "I could always pop right back up, so it was no big deal." But in the back of her mind, Jody knew something was wrong. The problem began during Jody's junior year in high school in Wabasha, Minn. While troublesome, it didn't keep her from aggressively playing the sport she loved. But her muscle weakness got worse and then she had trouble eating because her jaws ached. Finally, when her eyelids began to droop and she was too weak to get up from a chair without help, her mother decided it was time to investigate this mysterious weakness. Jody visited her local doctor, who suspected a neuromuscular disease. Because he knew Mayo Clinic performed a sophisticated type of electromyography (EMG), he recommended she see a neurologist there. "Before the doctor even suggested it, my mom decided we were going to Mayo when she heard the word neuromuscular," remembers Jody. "Being from the area, we are well aware of Mayo's reputation." 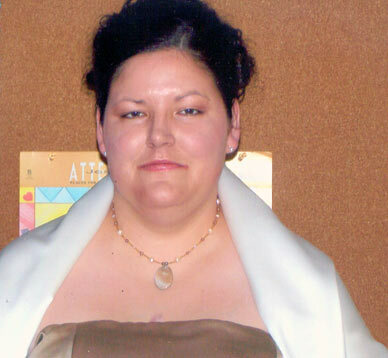 "It was very fast to get in to see a specialist at Mayo," remembers Jody. "Right away, I was sent for some tests." One of the first tests she had was electromyography (EMG), which measures the electrical activity of muscles. Mayo Clinic performs a single-fiber EMG, which samples one or two muscle fibers rather than the standard 10 to 15. The test, which is not widely available, is complicated to perform, "but is 95 to 100 percent sensitive in diagnosing myasthenia gravis, which we suspected Jody had," explains Brian Crum, M.D., a neurologist at Mayo Clinic's Rochester campus. Myasthenia gravis is a Greek and Latin name which means "grave muscle weakness." It's an autoimmune disease, meaning the body's own immune system is the source of the problem. The weakness is caused by antibodies that block the chemical messages sent from one nerve cell to another. As a result, muscles don't expand and contract properly and become easily fatigued. "It's unusual for the disease to start in the legs as in Jody's case," says Dr. Crum. "Normally, the first symptoms are drooping eyelids or other muscles in the face." Mayo's diagnostic tests showed that Jody had myasthenia gravis and a treatment plan was quickly developed. Myasthenia gravis is normally treated with medications such as cholinesterase inhibitors or immunosuppressants. Sometimes, surgery is performed to remove the thymus gland (thymectomy), which often helps patients. Dr. Crum explains that since the thymus gland doesn't have a lot of functions, it can be removed without problems. "In Jody's case, we decided to remove her thymus gland because she was so young and having significant weakness throughout her body," explains Dr. Crum. "In addition, she had an allergic reaction to some of the drugs used in her treatment." Mayo Clinic's Rochester campus is one of the few centers in North America that offers a minimally invasive surgery option to remove the thymus gland, specifically offered for patients with myasthenia gravis. "My recovery time was minimal and I noticed a difference almost immediately in my condition" says Jody. Even though surgical removal of the thymus has been used to treat myasthenia gravis for about 50 years, it's not clear why it works, says Dr. Crum. Some scientists believe the thymus gland may send incorrect instructions to developing immune cells, setting the stage for the cells to attack neuromuscular transmission. Mayo Clinic is one of 69 medical centers around the world participating in a clinical study of the use of thymectomy in patients with myasthenia gravis. Mayo Clinic evaluates and recommends patients to participate in this National Institutes of Health-sponsored study. "The results should help us determine treatment protocols going forward," says Dr. Crum. Myasthenia gravis is a remitting disease, which means it comes and goes. Many patients have initial trouble with muscle weakness, but then it gets better, or the disease may go into remission. Jody has episodes during which her condition worsens. One time, it affected her breathing and required hospitalization. Plasmapheresis has been used for Jody during especially difficult periods of weakness, such as when she is under severe stress or has an underlying illness, such as the flu. Plasmapheresis is an IV procedure that removes abnormal antibodies from the blood, which temporarily lessens the immune system's attacks on the nerve receptors. "My condition also worsens during extreme temperatures — when it's really hot or really cold – and when I'm overly tired," says Jody. "I'm able to work two jobs and take care of my four children," says Jody. "So, by anyone's standards, I am able to lead a very productive and normal life. I've learned to compensate. If I'm having a bad day, I'll do low-key activities and then run errands and clean house on a good day." "The most difficulty with this disease is that it behaves differently in different patients," says Dr. Crum. "The good news is that it's one of the more treatable neurological diseases. Our goal is to get patients doing what they need and want to do and that's very achievable."